Summer in Niseko takes bloom with a whole new life as the snow melts and the sun warms the air. Not only is there a wide range of outdoor activities from hiking to bbq’s but the Lodge itself takes on a new personality. In the summer we still provide the same personalized experience and laid back environment that guests have come to expect but we cater more as a Bed and Breakfast than full service hotel and lodge. Check In at 3 pm – guests need to provide a specific time upon booking as the front desk is not always staffed. Check Out at 10 am – special arrangements can be made to store your luggage on check out day or help transport it to the airport if needed. On Call Staff – after 7 pm our staff is on call but response time may take up to 30 minutes. Breakfast buffet is provided daily and includes a spread of fresh fruits, and vegetables grown in the Black Diamond Lodge garden. The Restaurant and Bar are not open for meals during the summer season. 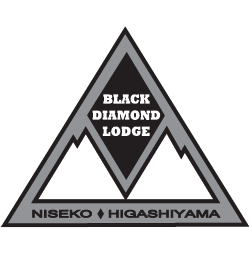 The Black Diamond Lodge is surrounded by some of Hokkaido’s most striking national parks and mountain views you can find a list of activities on our neighborhood page that we are happy to help you book. We also offer activates directly at the lodge. We provide everything you need for a family BBQ right at the Black Diamond Lodge all you have to do is bring your food ready to grill. Whether you are looking to fill an afternoon with your children or need an activity for rainy days our arts and craft workshop makes a great stop for creating you own handmade Hokkaido souvenir. Our workshop is open to both guests and none guests but must always be booked in advance through our front office.